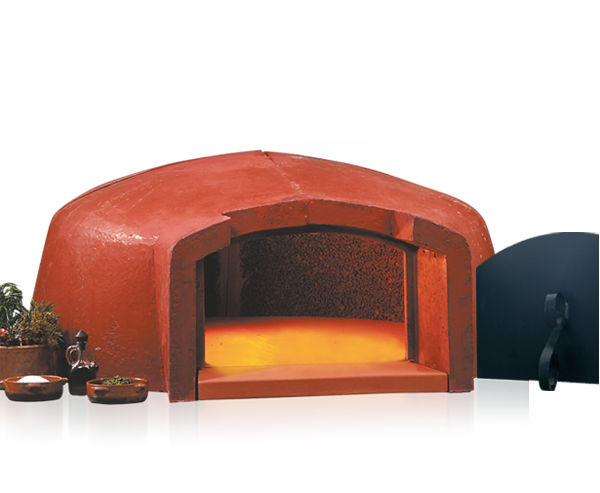 The Valoriani FVR UK is the original wood fired oven, using the same design and style as the first ever prefabricated wood fired ovens invented by Sylvio Valoriani in 1945. The UK specific FVR oven features a 5cm deep world leading Valoriani cooking floor and a 5cm thick handmade refractory clay dome. The UK model is tested and Licensed by DEFRA with key features including good heat storage and low wood consumption. It cooks beautifully and is suitable for the home environment or very low to medium volume business usage situations. The UK specific FVR includes floor, dome, clay, flue manifold, decorative arch, a metal door and bag of refractory mortar.